Despite its poor road manners, Jeep sells more Wrangler Unlimiteds every year. What's the secret to this model's success? The Jeep Wrangler is an American icon, embodying the best combination of attributes you can buy in a vehicle today. It’s got a convertible top for the summer and 4-wheel drive for the winter and going off-road year round. It has some of the most unique styling and consistently rugged standard equipment available in any new car today. Before 2007, starting a family meant some tough decisions for Jeep Wrangler owners. 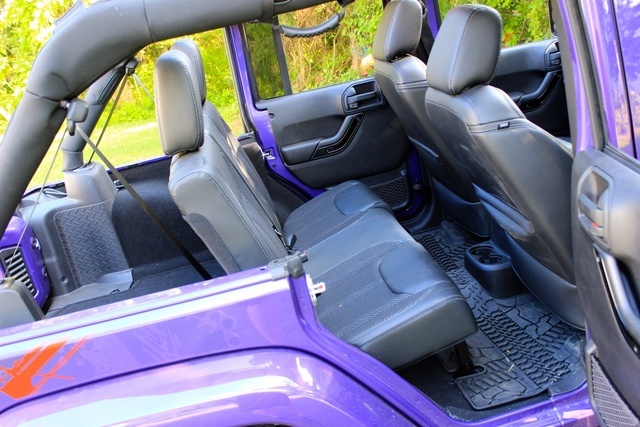 Put a baby seat in the hard-to reach back seat of a 2-door Wrangler, or find another vehicle with better access? But then the 4-door Jeep Wrangler Unlimited arrived (a 2-door Unlimited with an extended wheelbase was sold from 2004-'06), and it only stoked the flames of the red-hot sales success that is the Wrangler. But a new Wrangler Unlimited is just around the corner. What is it that makes this vehicle so popular, and what elements need to be retained to ensure the Wrangler Unlimited continues to be popular in the future? Read on to find out. You probably already know exactly what a Jeep looks like. The boxy styling, clamshell hood, circular headlights, and 7-slat grille are probably some of the most recognizable features on the road. And since you can remove the roof and doors and (with a lot of work) even fold down the windshield, you would probably recognize a Jeep even without its top and/or doors. What might be surprising is just how easy it is to remove the doors and roof. Unscrew a handful of T-30 Torx bolts, and the roof comes right off, and the doors come off with a single Torx bolt. Although it has the look of a drivable utility knife, there are elements to the cabin of the Wrangler Unlimited that are both Spartan and civil. Depending on the trim, you can get more of the former or the latter. 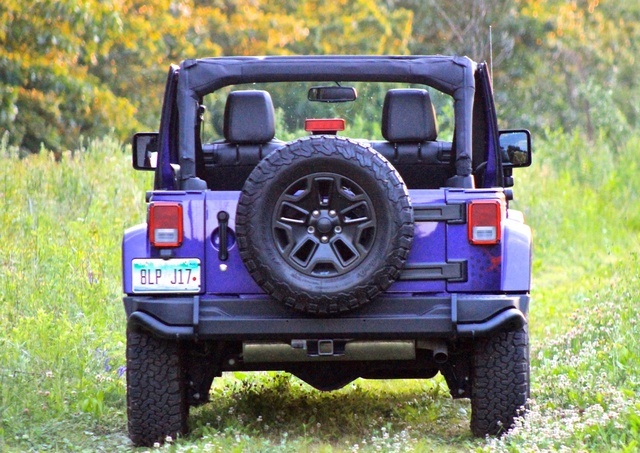 Trims for the Wrangler Unlimited are Sport, Sport S, Sahara, and Rubicon. The Sport trim comes standard with a tire pressure monitor, manual windows and door locks, air conditioning, 16-inch steel wheels, and cloth seats with a 60/40 split-fold rear bench. The Sport S adds an auto-dimming rear-view mirror, leather-wrapped steering wheel, power locks and windows, and 17-inch aluminum wheels. The Sahara features bright interior accents, a 1-year subscription to Sirius satellite radio, 18-inch polished wheels, automatic headlights, and color-keyed fender flares. If the Sahara is the “luxury” model, the Rubicon is the off-road superstar. 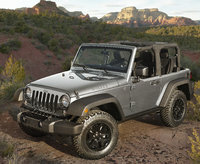 It features 17-inch polished mineral gray wheels, BF Goodrich off-road tires, and an electronically disconnecting front sway bar for even greater wheel articulation on the trail. These trims are joined by a number of special editions. 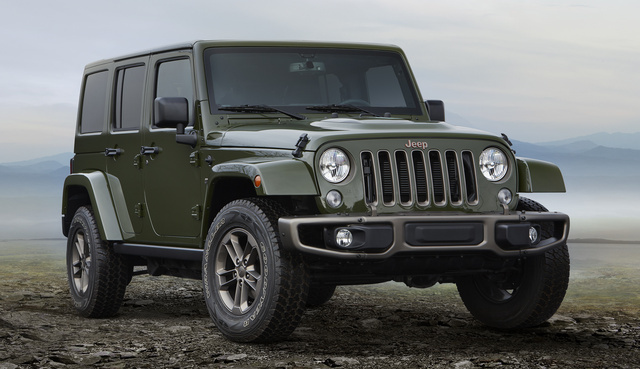 For 2016, Jeep offers the Willys Wheeler, Black Bear, Freedom, 75th Anniversary, and Rubicon Hard Rock Editions. These are also joined by the Backcountry Edition, which was our head-turning test model. Starting at $38,495, the Backcountry comes with rock rails, aftermarket off-road front and rear bumpers, blacked-out grille inserts and fuel-filler doors, a unique graphics package, and one heck of a paint job. It is called Xtreme Purple, but if that color is too offbeat, blue, black, white, and grey are offered. No matter which version you choose, the Wrangler Unlimited comes equipped with Chrysler’s venerable Pentastar 3.6-liter V6, making 285 horsepower and 260 pound-feet of all-important torque. 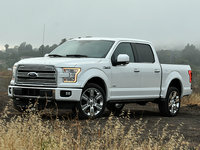 Power is sent through either a 6-speed manual or 5-speed automatic transmission to standard 4-wheel drive. The standard 4x4 setup is called Command-Trac and offers shift-on-the-fly all-weather capability. The Rubicon is standard with Rock-Trac, which features a 4:1 rock crawling ratio for tackling just about any trail. Fuel economy for the Wrangler Unlimited is estimated at 16 mpg city/21 highway/18 combined with the manual. With the automatic transmission, figures stay the same, save for highway mileage, which falls to 20 mpg. Those numbers are not great, and for the future, fuel economy needs to improve. Future versions of the Wrangler Unlimited may feature weight-saving measures such as aluminum construction and a fuel-efficient diesel powerplant. These items will not arrive until the next generation of the Wrangler Unlimited. On the road, acceleration is adequate. The engine pulls, but there is a lot of pushback from the throttle. Additionally, cornering sometimes makes the Jeep feel ungainly, and you’ll have to be careful when taking a highway off-ramp at speed. But once the Wrangler Unlimited is on the trail, it feels right at home. Driving over rocks and ruts, you'll feel every obstacle in the best way possible. And its very strong brakes will pay dividends in case you start to build up too much speed on the trail. The Wrangler Unlimited really does feel like a utility knife or multi-tool that you can drive. The base soft top retracts with ease, though you’ll have to practice it once or twice to get it right quickly. The available Freedom Top is a modular three-piece hardtop, with removable front panels. The front panels can be removed (driver’s side first) by hand-turning a bolt and several locks. Those front roof panels can be stowed in the aft cargo area of the Jeep. Taking off the hard top is a bit more a of a process, but still relatively simple. It requires removing eight Torx bolts and disconnecting the rear wiper and third brake-light cable. It takes two people to remove the top, and you’ll need a place to store it. If you're tight on storage space, lack a garage or shed, or live in the city, it might be best to stick with the soft top rather than worrying about storing the hardtop to use it. 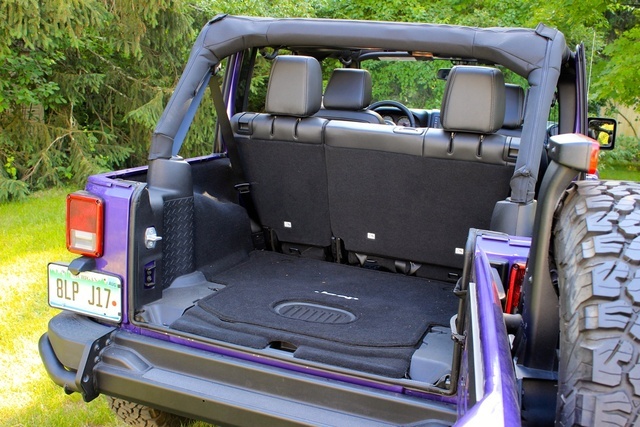 With the roof off and the rear seats folded down, the sky is the limit for what you can store and move in the back. Items that would typically be too tall to fit in an SUV can make it over the Jeep’s roll bars. Of course, you’ll want to secure them using the tie-downs in the back. Front and rear passengers sit upright and have plenty of head and legroom. Small cargo nets in the doors can store various items. With the top off, you’ll have to either take valuable items with you or store them in the center console or glovebox, both of which are lockable. 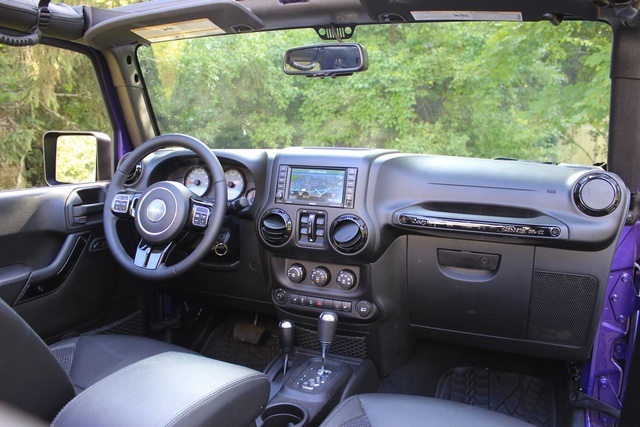 The base Wrangler Unlimited comes standard with the “Radio 130,” which has a CD player, MP3-format capability, and a front auxiliary audio jack. 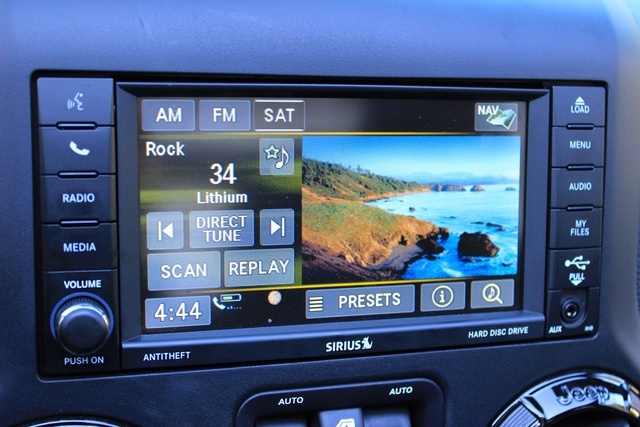 An upgraded version of that radio features satellite-radio capability, but if you want features like navigation and more, there’s the Uconnect screen paired to Bluetooth connectivity. This 6.5-inch touchscreen features GPS-based navigation and front-facing aux audio and USB capabilities. This screen is where the Wrangler Unlimited is showing its age in a big way. This screen is lo-fi when it comes to graphics, and it has a clunky look and menu layout. Chrysler could have put the very popular 8.4-inch Uconnect screen into the Wrangler Unlimited years ago, but given that it's been selling so well, Jeep has no incentive to put the money into working that large, high-def screen into the current Wrangler Unlimited. Like so many other things, you’ll have to wait for the next generation for this tech to arrive. Every Wrangler Unlimited has safety features like multistage airbags, electronic stability control, electronic roll mitigation, and ultra-strong roll bars. But the Wrangler Unlimited lacks high-tech features like lane-departure warning, blind-spot monitoring, and forward-collision avoidance. It’s doesn't even offer a backup camera. Once again, these are the types of things we expect to find in the next-gen Wrangler. The Wrangler does offer peace of mind through features like its strong braking capabilities and trailer sway control, which will compensate for things like crosswinds when towing. Base MSRP for the 2016 Jeep Wrangler Unlimited is $27,695 for the Sport trim. The Sport S starts at $30,895, while the Sahara starts at $33,795, and the Rubicon starts at $36,995. Our Wrangler Unlimited Backcountry had a sticker price of $47,550 with its unique look and aftermarket gear. That's a pretty penny to pay for a Wrangler, but many buyers spend thousands customizing their Jeeps after purchase. This is a way to get that aftermarket look straight from the dealer. And in spite of the price, consumers are flocking to current-gen Wranglers even as its replacement looms. The reason it continues to sell despite its shortcomings might have to do with Jeep fans’ fears over what the next Wrangler might lose. 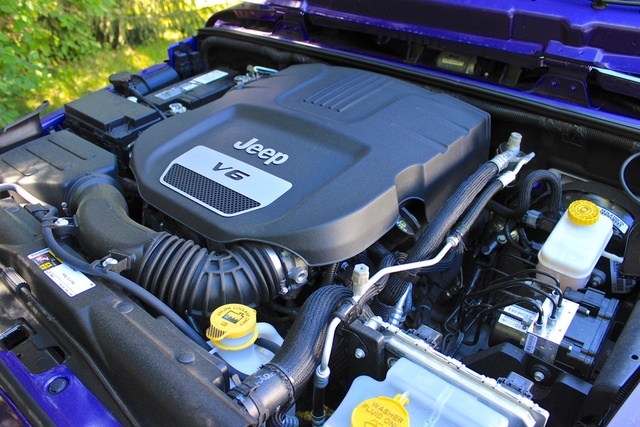 The Wrangler's fuel-economy numbers simply have to come up, and something’s got to give. 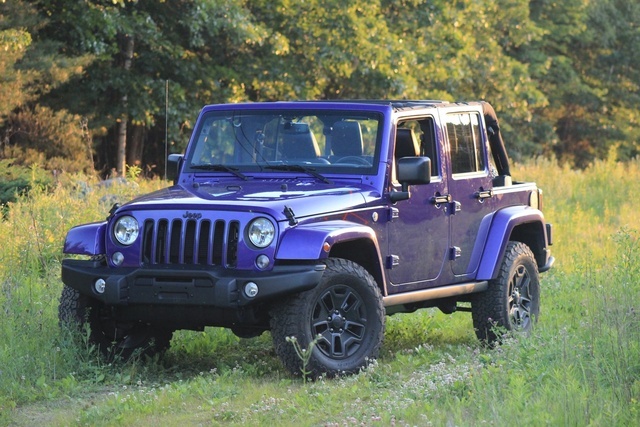 There are more questions than answers when it comes to the next Wrangler Unlimited. Maybe its steel frame will give way to an aluminum tub. 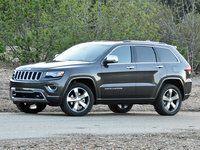 Will the manual transmission be replaced in favor of Fiat-Chrysler’s 9-speed automatic? Will an abundance of infotainment and safety tech rob the Wrangler of its purpose-built charm? For now, you can buy a Wrangler Unlimited knowing what you'll get—and what you won’t. So what if it's a low-tech throwback? It looks like nothing else on the road, has unparalleled capability out of the box, and has a strong fanbase. As long as the Wrangler Unlimited is the 4-door supercar of the trail, it will continue to have that following and be just as popular. What's your take on the 2016 Jeep Wrangler Unlimited? XXLDIRT I Freaking love it. Lifted, very unstable until Teraflex adjustable rocker arms. Rides like a champ, not a sportscar, it has just a touch of jeep sway, which I love, but now it is solid on road. Gas stinks, but the noise from the lightbar was the worst. Have you driven a 2016 Jeep Wrangler Unlimited? Car gurus calculating my car's value as 26k$ but I have so many other upgraded packages worth minimum 25k. When I set my car's price on 50k it shows as it is overpriced. What should I do? Remove Soft Top From Under Hard Top. Just bought 2016 Sahara unlimited. Want to remove soft top frame from under hard top without removing hard top. You tube only shows how to swap one for the other.